Guadalupe Ruiz was born in Colombia in 1978. She studied photography at the ECAL (Escuela Cantonal de Arte de Lausana) and the HGKZ (Zurich University of Arts), in Switzerland. 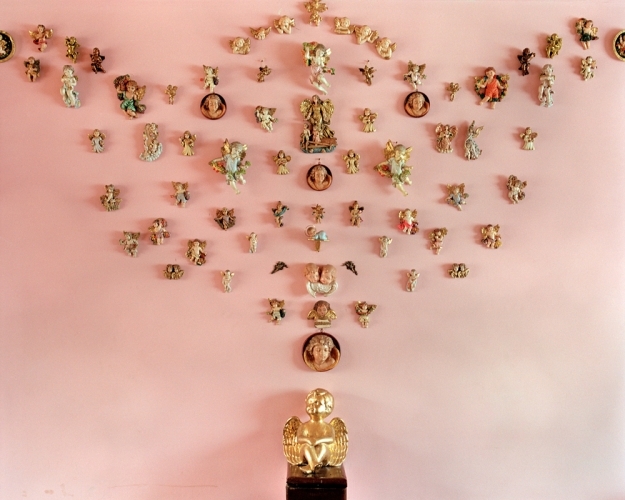 Since 2007 her work has been exhibited at the Halmhaus in Zurich, the Centre de Photographie of Genova, the Centre Pasquart in Bienne and the Modern Art Museum in BogotÃ¡. For many years, Guadalupe Ruiz has been portraying her family members and photographing the houses in BogotÃ¡, the city where she grew up and the place where she has developed most of her photographic projects. Even if her photographic language is defying the limits of fiction and reality, her authenticity comes from the fact that every series is breaking the boundaries between documentary art and conceptual art. All of her series play with the feeling of drama and strangeness of those realities we should be familiar with. Photography is a way for her to approach her family with a very critical eye. 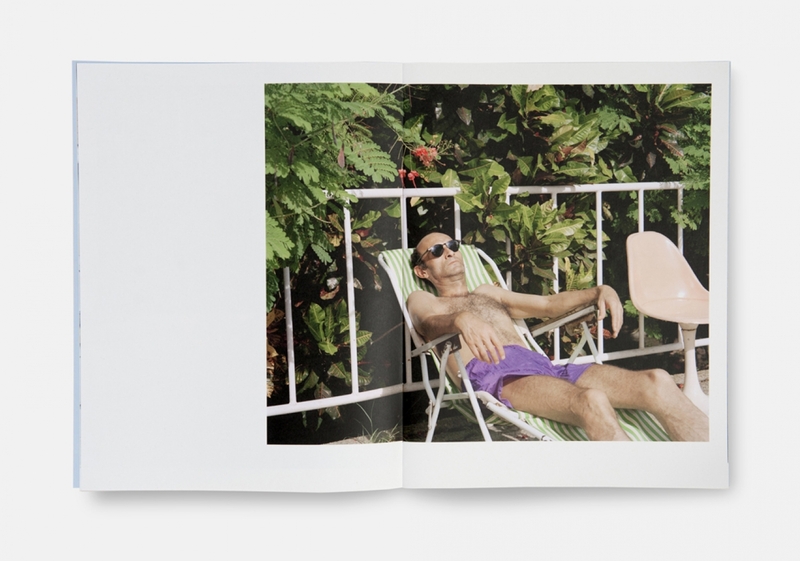 Since the year 2000 Guadalupe Ruiz has published a series of books gathering her own personal archives, portraits of her family members and photographs of urban landscapes in Colombia. 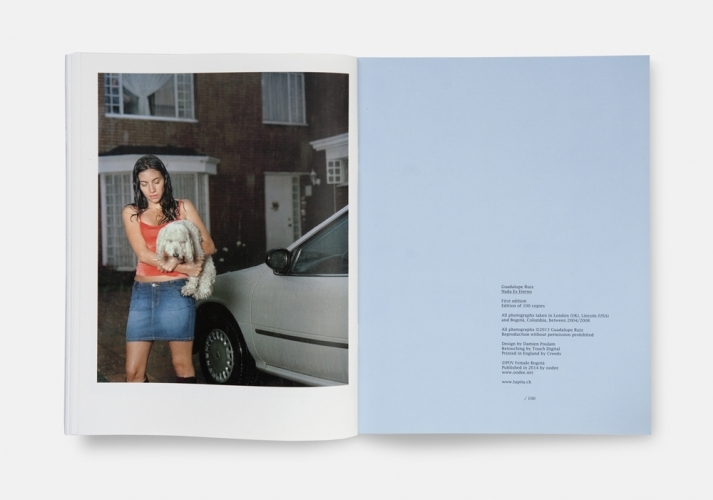 All those publications compose, piece by piece, the singular universe of Guadalupe Ruiz, one where the intimate space and the everyday life of a middle-class family becomes the scenario of the absurd. 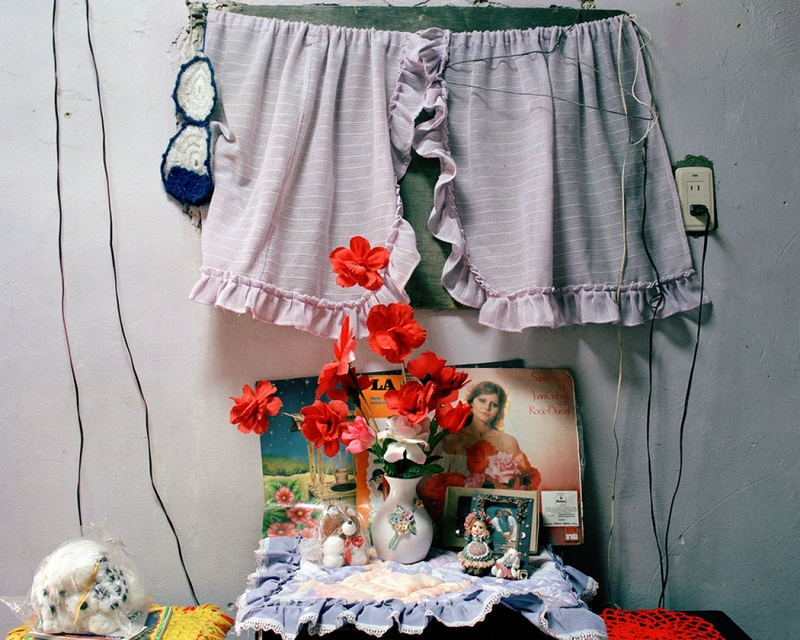 Her photographs tell the stories of people and places with a touch of humor, questioning that idea of the national identity and sharing a very personal vision of a Colombian society that ignores itself. P.D.F: One of the aspects of your work that called my attention is the singularity and the sensibility that permeate every single picture. No matter if it is a portrait, a picture of the interior of a house, decorative objects or plants; you have a very particular way of looking at common things. Daily life is not only the context of your work: it's definitely its subject. You pay attention to details that would be irrelevant for us. Why did you decide to photograph a close reality that has always been familiar to you? G.R. : For me, photography is singular. It shows a very particular vision of reality that is in the photographerâ€™s mind. In my case, I was interested in showing precisely and concretely what I see. I donâ€™t try to create scenarios or surrealist environments. I donâ€™t use special effect or artificial tools to give more complexity to the images I make. My work consists in portraying what is there, what is evident and is rather visible. I had to educate and build up a critical vision of the everyday that surrounded me. All this has been taking shape with time and through a very intensive exercise with photography. It may also come from the fact that I have decided to take distance with my relatives, parents and family, leaving Colombia to study in Switzerland. Being outside the city I grew up with, facing a reality completely at the opposite of what I knew before and getting to know my origins allowed me to work on that particular vision of things. I was more objective, more distant with my own personal surroundings. It was also a way for me to know my family better. P.D.F: If seems that those common places that you have been photographing donâ€™t show only one single reality. 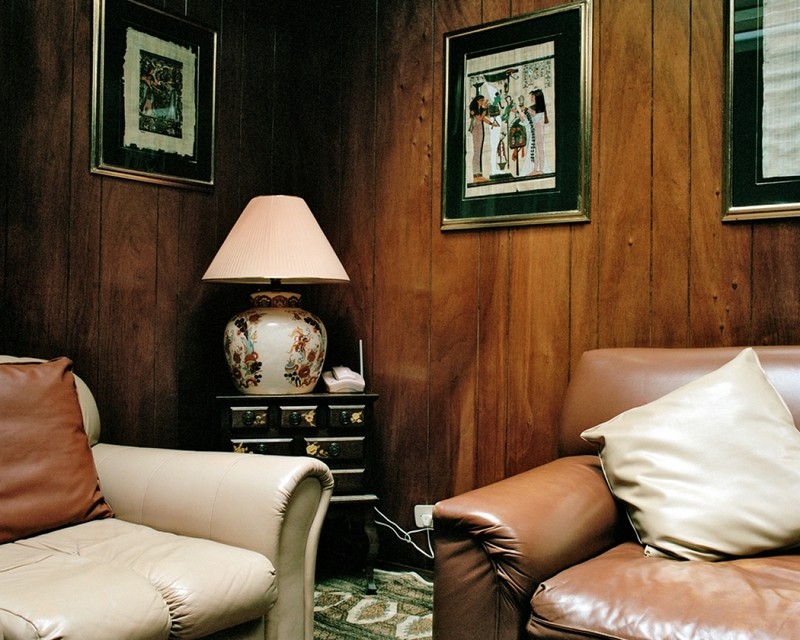 In BogotÃ¡ D.C., your photographic series and book published by Scheidegger & Spiess, you built up an interesting typology of the interiors of different houses in BogotÃ¡. Your images are an index of the social stratus that introduced a hierarchy into the city planning. What does this intimate and yet very objective vision of the city you grew up with mean to you? What can we see about that photographic inventory that we couldnâ€™t see if you hadnâ€™t photographed those intimate spaces? G.R. : The social stratus in BogotÃ¡ is a system that defines not only the interior and the exterior of a house, a neighborhood or a city. It also gives clues about a place, a person and a certain level in the social pyramid. It's quite sad to know that you have to work with that typology, accepting that social classes exist, but that is the reality I grew up with: a system that creates different social and economic stratus, classifies neighborhoods according to the quality of public services provided. That system only exists in BogotÃ¡ and in some other cities in Colombia. Even the tax code is built upon the urban conception of the social stratus. I wanted to explore the small differences between each of the different status, and I wanted to show it without having to include the persons that inhabited those places. I used natural light, a mid format camera and when there was too much chaos in the house I chose not to photograph it. I then classified the images to make an installation of 120 photographs ordered by topic and by stratus, showing through a grid all the different spaces: the beds, the dining rooms, the faÃ§ades, the interior gardens, the certificates, etc. I wanted to keep the idea of space and show it in a more neutral way. As the decoration didnâ€™t change much regardless of the social class, I also wanted to show there was a â€œcommon tasteâ€. The entire series of pictures is composed of the same tonalities. The interiors display a color frame that goes from green to pink melt up with brown. The style of a house didnâ€™t depend on the social background. But as the families inhabit a place for a very long time, the houses and the apartments in BogotÃ¡ become museums. We donâ€™t have the influence of decorative styles imposed by furniture magazines like Ikea as it happens in Swiss homes. Do you think your photographic work is also there to create a record of the present, keep the trace of those moments we ought to forget because they seem so familiar to us? G.R. : In my photographs, I never look into the past, but with time I can say I have been gathering a photographic archive. It's interesting to see what called my attention. I realize that Iâ€™m looking at an image of a moment or a set of circumstances that no longer exists. Every time I go to BogotÃ¡ I take pictures of places that I believe will disappear before I ever come back again. Maybe it's an unconscious gesture that I do constantly to keep a record, a historic document of what I see. 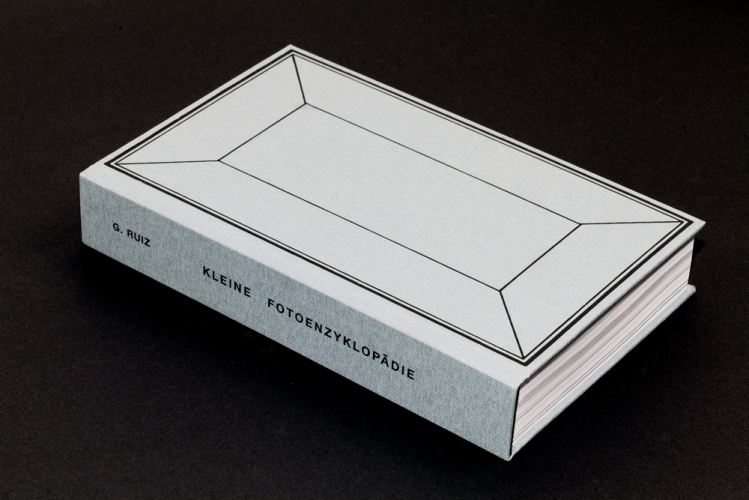 P.D.F: In another book, you published titled Kleine FotoenzyklopÃ¤die you look at the archive in a slightly different way. Here you gather a wide series of images that have influenced your work - a visual encyclopedia of hundreds of press photographs from the '30s and '40s. 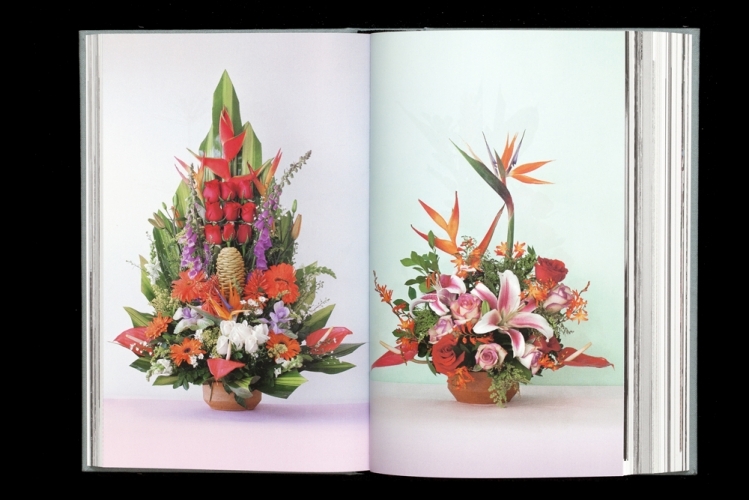 We can also see a set of Colombian flowers, decorative objects from your parentsâ€™ house and all kinds of potatoes, corn and cakesâ€¦ How was the editorial process of the book? G.R. : That work was about going out of the family context and searching for a new source of inspiration. I first started collecting images by topics, using my digital camera. As soon as I could be in a different place than the one I live in (Bienne, Switzerland), I started gathering images by subjects: architecture, art, society, food, nature, etc. During a residency program in New York I decided to classify and structure my own encyclopedia. I wanted to follow all the steps of the book's production process, from the diagramming to the offset printing. The result is a book that classifies by topics the collection of 645 images I gathered during several trips. I also wanted to give a "real" input to digital photography by employing an analogue printing technique. P.D.F: That encyclopedia is based on the necessity to give common objects and everyday images a more fundamental aspect, showing it as visually valuable. I wonder if part of that process of classification and indexation of a personal archive has something to do with a need to remember the present, organize it as a way to solve the issue of time that flows and never comes back. G.R. : I am a very methodic person: I classify and organize objects, throwing away what is not aesthetically harmonic, broken, etc. For me itâ€™s important to be surrounded by the objects that inspire me. I always change the decoration of the place I live in. Itâ€™s not about ordering memories but rather about knowing and recognizing what surrounds me. I donâ€™t want to say I have all the knowledge available, thatâ€™s why I called this project a "small encyclopedia". 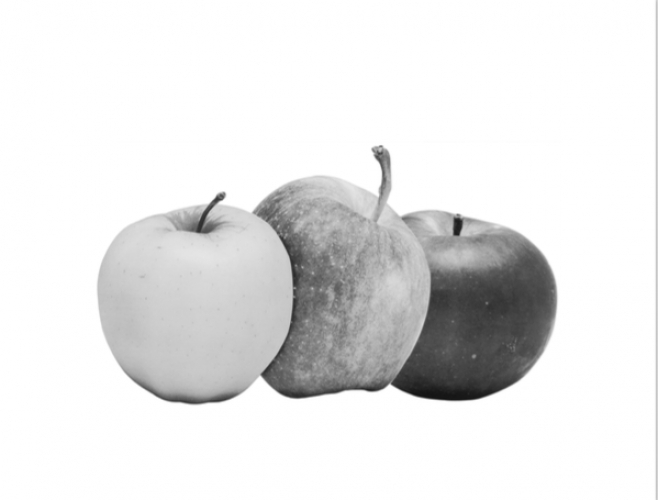 P.D.F: Is there any connection between this work and your last fanzine Ny Apples and Pears published by Kodoji Press? I feel that particular series is very close to pop art expressions. The food you photographed has a very modern aspect. Almost as if the fruits we see were too perfect to be real. Are those apples and pears â€œnatures mortesâ€ portrayed by an artist contemporary to Andy Warhol? G.R. : The material for Ny Apples and Pears was an extension of the encyclopedia. That first book had a chapter with that same title featuring a collection of photographs coming mainly from the state of New York. The title also plays with the idea of the Big Apple, the expression we use to talk about New York. What I did was to print the images of those fruits, cut them out and make new compositions with them, as if I was arranging a fruit bowl. Then I printed them in offset and created a series of posters. P.D.F: Throughout your career you have been making a series of family portraits that you published under the title: â€œnothing is eternalâ€. Itâ€™s exactly the opposite of what we can expect from a photograph. How have you been developing that specific relationship with the present in your photographs? And how would you consider those images of a time that will never come back anyway? G.R. : I have a very simple relationship with what I call ephemera. Maybe because I have a very critical eye, there is nothing for me that would last eternally. To photograph what I see is different or new from what I had previously known and to capture what I consider will disappear soon is what I like the most. The portraits of my family where capturing the faces and the expressions of the most photogenic persons I know. I wanted to give a dramatic aspect to that everyday life. I wanted to record and photograph the absurd in a very banal situation using what is at hand in terms of dressing, weather, place and time. P.D.F: In one of your previous interviews you mentioned the banality and the absurdity of some situations that are usually considered as normal or irrelevant. Maybe you have learned how to look deeply into the present, establishing a very serious distance with your closes environment. Is your work a way of dealing with an absurd present, integrating it into a sort of photographic archive? G.R. : What is difficult for me is to live the present. I always see the everyday as something totally absurd. Photographing it is what I do best. P.D.F: Do you think that series of photographs, through which you have created a very complex and humorous vision of the present, is universal? How was the reaction of curators, publishers and people you have been working with? G.R. : The only thing I can say is that it has been a very long process for me. It has demanded a lot of effort to make all the series you have seen. Each one of them belongs to a very specific moment in my life. To get to a good result I try to be very generous in terms of images when it comes to making them, but then the final selection is very strict. I think that work is definitely universal and the absurd in the everyday life is a language that everyone can understand. It doesnâ€™t matter if you are from Bienne, BogotÃ¡ or any other place. Working with photography has been for me a way to train my vision. I always had the need to interpret reality. 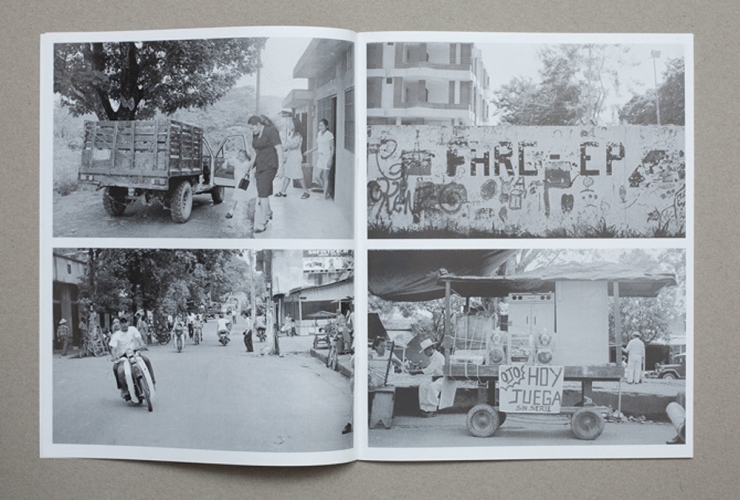 The purpose of that work was to create a personal archive of BogotÃ¡, one of the most difficult places that I had to photograph. The adrenaline is too high for me to compose passively those pictures as I can do it in Switzerland for example. Concerning the reactions of curators, I would say it has been very positive in general. The only problem for me is that I was born in Colombia and I now live in Switzerland. Sometimes I feel that people donâ€™t really appreciate my work here and there for a simple reason: in Switzerland Iâ€™m a stranger, a foreigner and in Colombia it seems that I have become one as wellâ€¦. Anyway, that is not a reason to stop working! 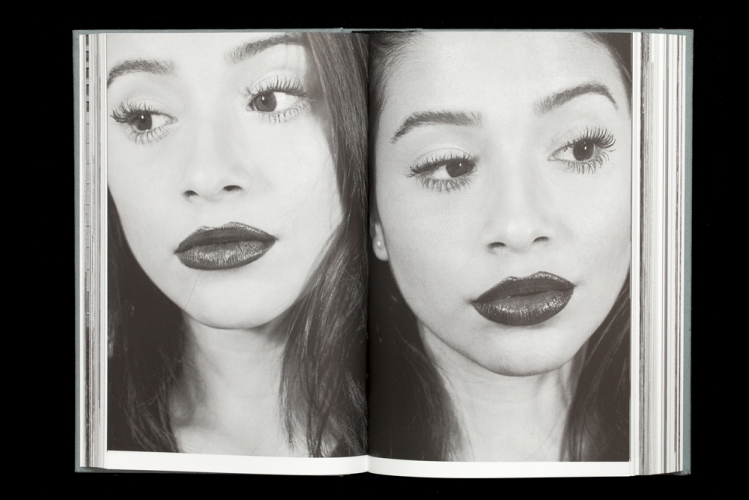 Now for example, I am working on a book of photographs I did for my son Octavio. He is only 1 year old. I did it to be able to show him something about the place where I was born. The book has images of BogotÃ¡ I took between 2000 and 2017. It gives a very personal interpretation of my experience there, but itâ€™s not at all a nostalgic work. Showing a city that I feel sometimes very distant to me, but also where I lived for almost 21 years, is maybe a way of creating a visual memory of that place. All the photographs interpret and describe it with a very simple language, and they go along with a text for children written by NoÃ«lle Revaz. The text is very important, as is gives some clues for you to interpret the pictures by imagining several situations. As I said before, photography is for me a point of view, a very personal and very universal thing. It is in the end a good document made to be interpreted and discussed. P.D.F: There is a more journalistic work that we havenâ€™t discussed. 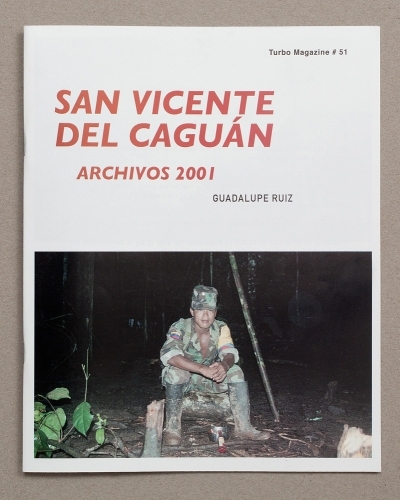 It consists in a series of photographs of San Vicente del CaguÃ¡n, published in the form of a magazine. The images were taken in 2001 and they show the everyday of FARC EP members in that region of Colombia. How was that experience of war? G.R. : I did that work at San Vicente del CaguÃ¡n while I was still in college. It was a reportage that I was asked to do. I thought it would be interesting to get to that place where peace with the FARC EP was under negotiation at the time. There was an entire region where the lords of that armed forces had free access. I made a first trip to that region with no specific intention. When I arrived there I met with a group of international journalists that had been invited to camp in that region and I decided to join them. We stayed two hours away by foot from â€œLos Pozosâ€, where the FARC had their press office. We were staying in a free-zone administrated by that armed group during the peace negotiations. The experience was very absurd and real. We were in the middle of the jungle, sharing a territory with that left-wing armed forces. We had to trust these people no matter what. At the beginning they told us we could photograph any place and ask anybody what we wanted. But the next day at 6 am they told us we had to go. The images I brought back where not enough and I decided to come back later to finish that work. When I got to â€œLos Pozosâ€ they told me to come back the following day to see if it was possible for me to go to the camp. I was completely anguished that night, with my camera in the hand, entering one of the most dangerous places in Colombia and staying at a drug store nearby that place. I wanted to go back to BogotÃ¡ and leave all that behind. I realized how hard it was to be a photojournalist, a war photographer in Colombia. It was too dangerous to be there. So I decided not to stay. I still remember the face my parents did when they saw I was back and safe. I didnâ€™t want to work with those images for what they represent. War is such a delicate matter to deal with. I kept them in the archive until last year. That journal you talk about should have been one among a series of revolutionary editions published by La Silueta in BogotÃ¡, but we couldnâ€™t agree on the layout. I decided to self-publish that work, printing the magazine I had designed with my own printer. These images are like archive photographs now: for me, they have acquired the value of historic documents.